We’ve got kitchens on the brain…a Nancy Meyers Kitchen. 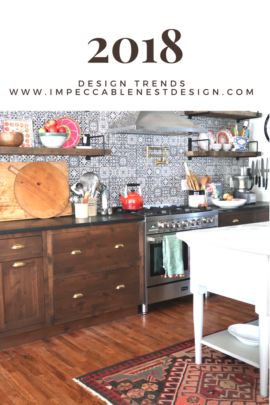 With our new house still not organized and holidays creeping up on us, all we can think about is planning our kitchen renovation. We’ve been hit (hard) with major kitchen envy. Our #currendesignsitch just ain’t cutting it and its kinda making us dread entertaining this season. All we can think about is our future kitchen renovation plans. At first we just couldn’t decide what we wanting to do. Yes, designers get stumped too. We needed to live in the house a few months to figure out what we needed functionally. Now that we have that big decision made, we needed to decode the look. 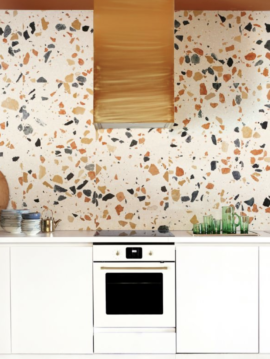 Do you know where we went for our kitchen design inspo? The silver screen. Yes, we go to the movies. But not just any movie. We watch a Nancy Meyers movie. In fact, she may just be the inspiration for our love of interior design. Sure we the a good rom-com. Total sucker for those sappy stories. Yet her movies are so much more. 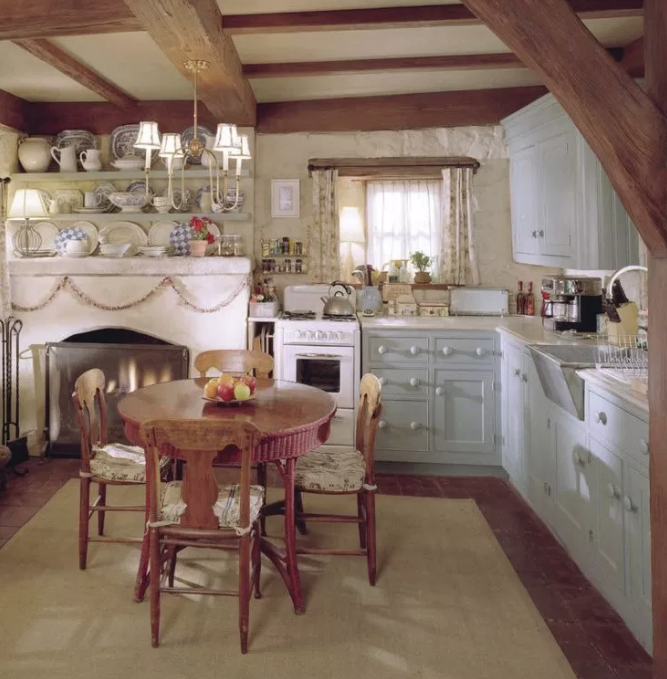 We love the interiors in her movies. We can watch them over and over just to see the interior design work. 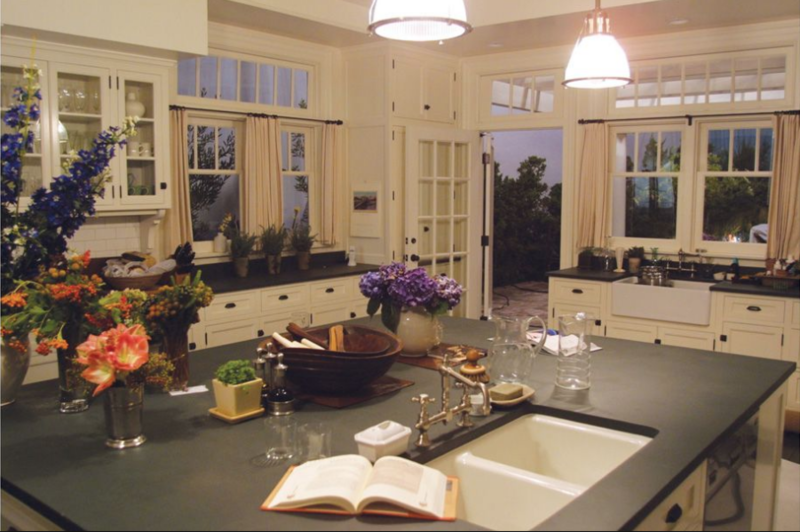 Specifically though, it’s the Nancy Meyers kitchen. What’s not to love about “The Intern,” “The Holiday,” “Somethings Gotta Give,” or “It’s Complicated?” Great story lines, yet even better interiors. 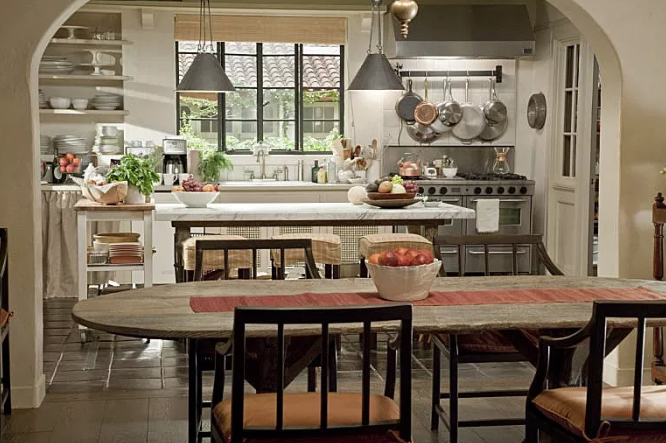 Yes, we love Nancy Meyers films for their interiors…especially their kitchens. Why? They come across as real life. We could totally see ourselves cooking and entertaining in her kitchens. Also, they’re trendy, yet timeless. 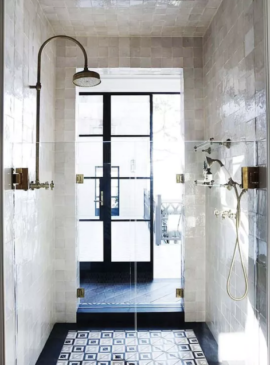 Nancy Meyers incorporates current trends in a way that will never go out of style. They’re traditional, modern, and include found objects and statement lighting. They are neutral, yet colorful. Actually, they’re perfect. 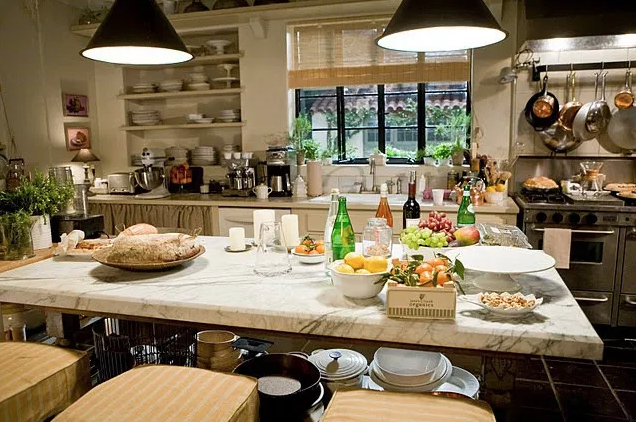 Here’s a round-up of some of our favorite Nancy Meyers kitchens. 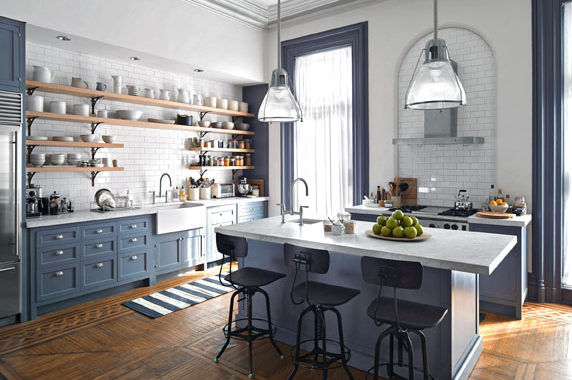 An awesome brownstone in Brooklyn, with great cabinetry, open shelving and statement lighting. Seriously, she can do no wrong when it comes to her interiors, most especially her kitchens. We are on the verge of a massive renovation at #anewhorizon in 2019…another kitchen renovation. And we are going to take you through the entire process as we demo, make all product selections, plans, purchases and construction of the new space. 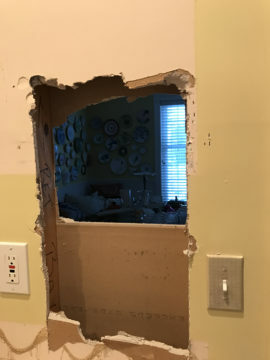 Our existing kitchen is…well, not good. Cabinets are falling apart, we can’t open some drawers, we miss our old (humongous) refrigerator. Needless to say, it just ain’t cutting it for our family. So we have big plans to change the location of the existing kitchen, and convert it into a giant pantry, then have a large kitchen in a new area. We can’t tell you about it now, but it’s been super fun and exciting to dream up and plan it out. 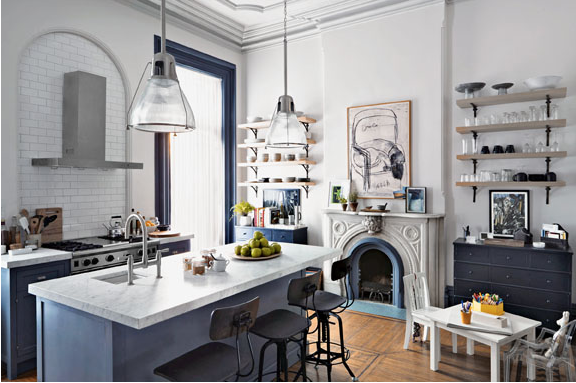 In fact, that’s why we are sharing some of our favorite kitchens with you because everyone needs to get their inspiration somewhere, and why not cozy up to a movie? 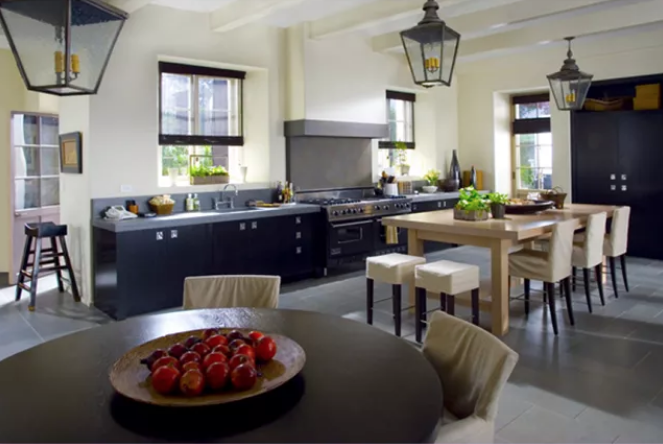 And figure out how to create our own Nancy Meyers kitchen in our #anewhorizon. For added inspiration, check out this, this or this post for more kitchen motivation!